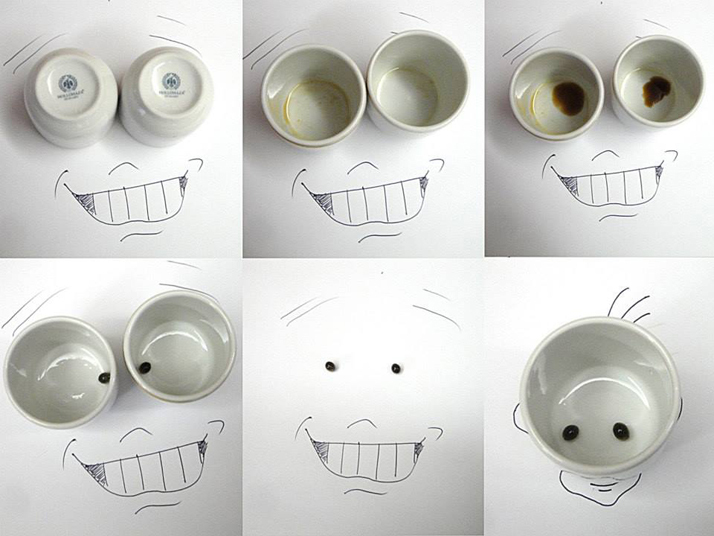 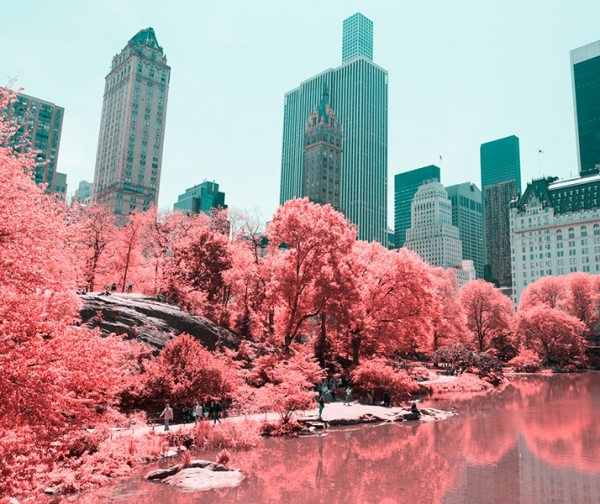 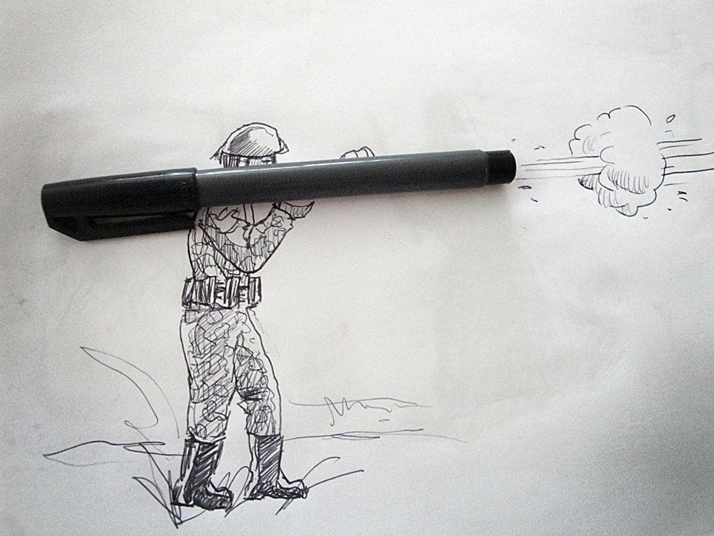 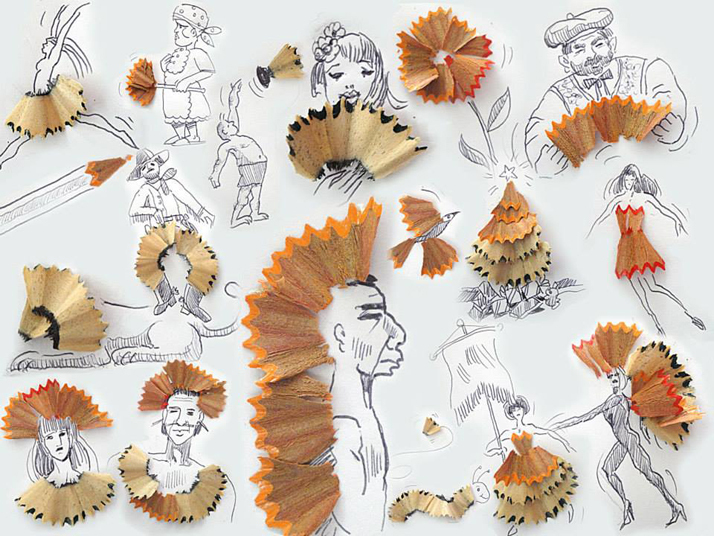 An amazing ongoing series by Victor Nunes. 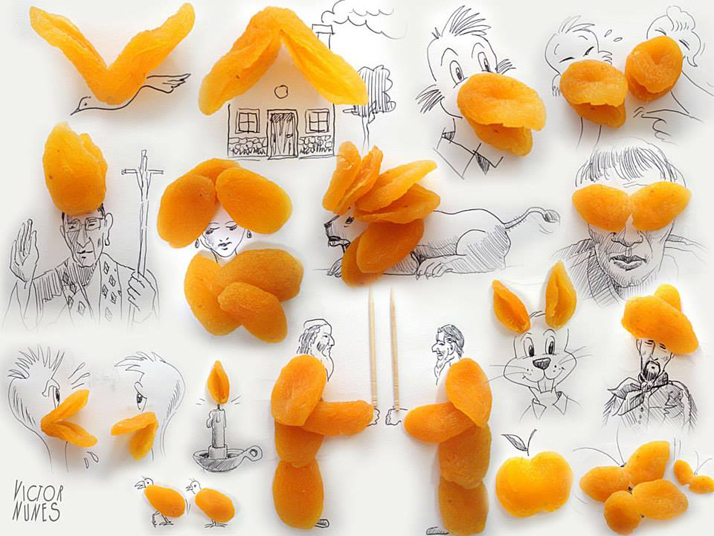 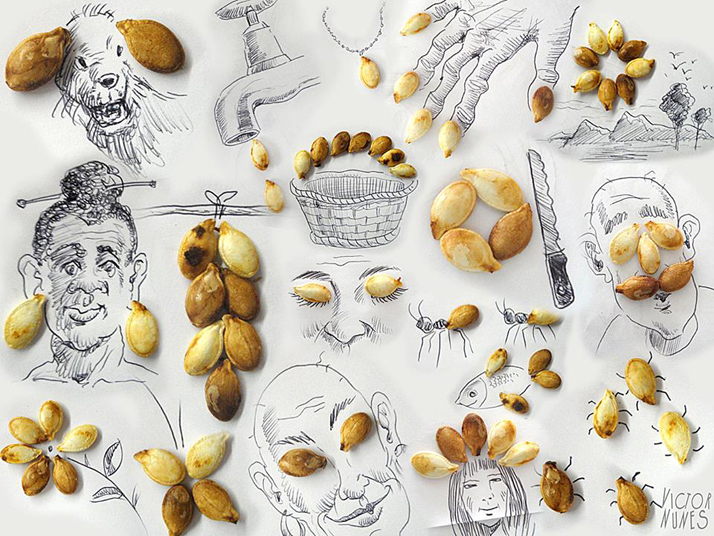 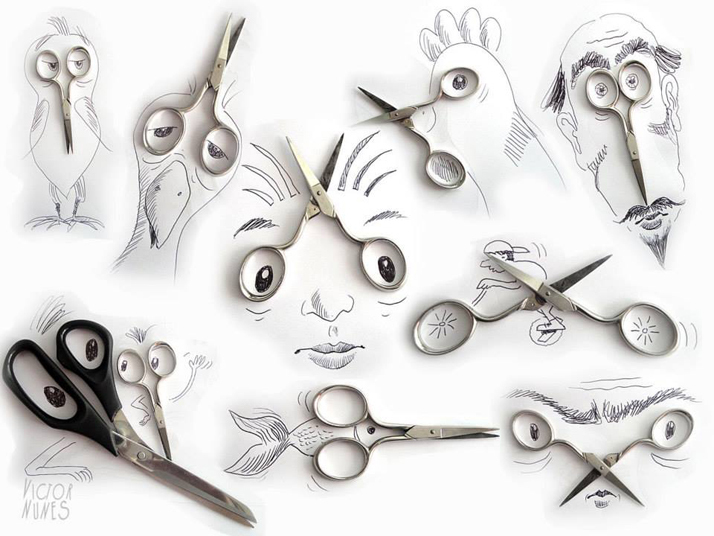 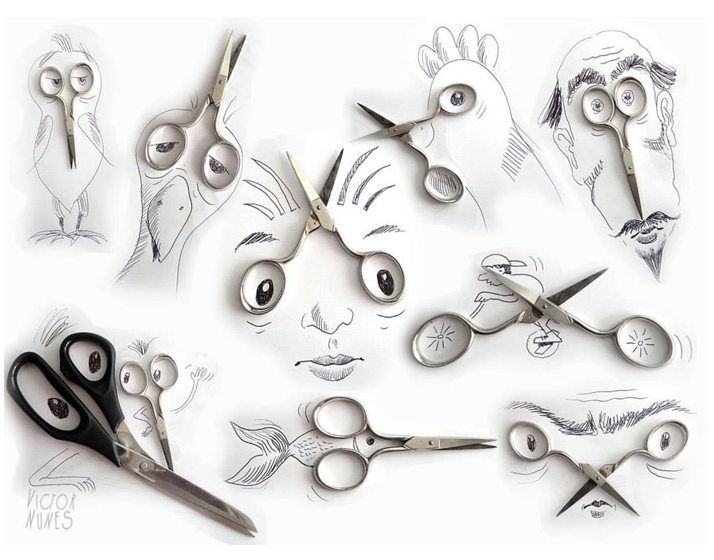 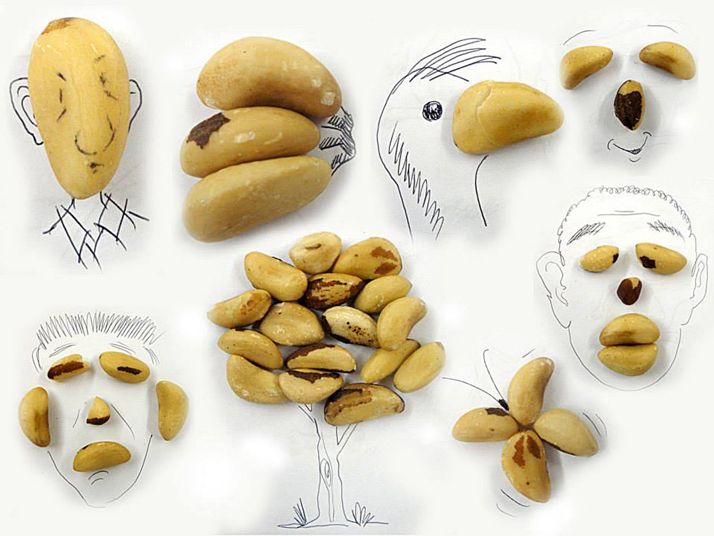 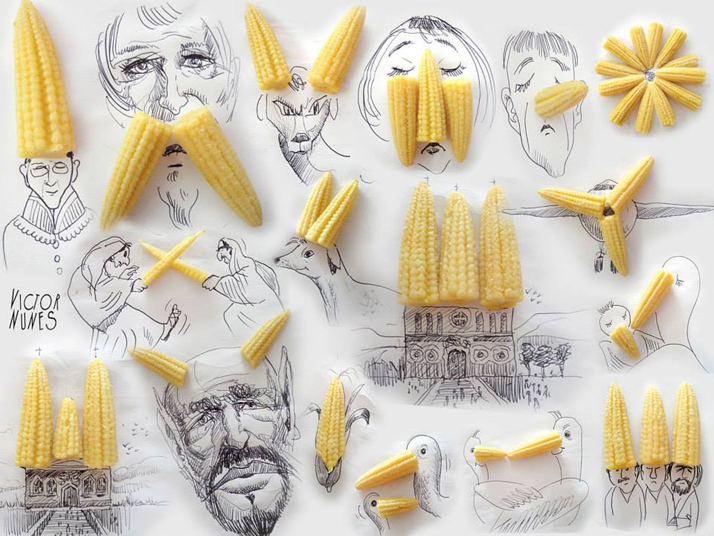 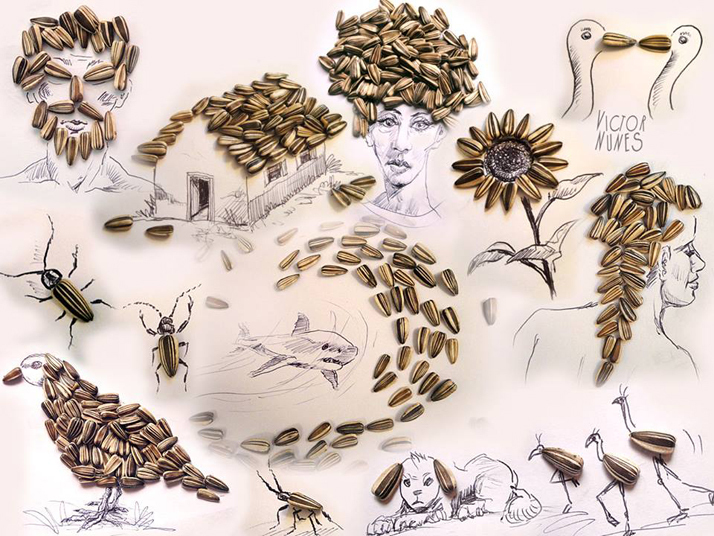 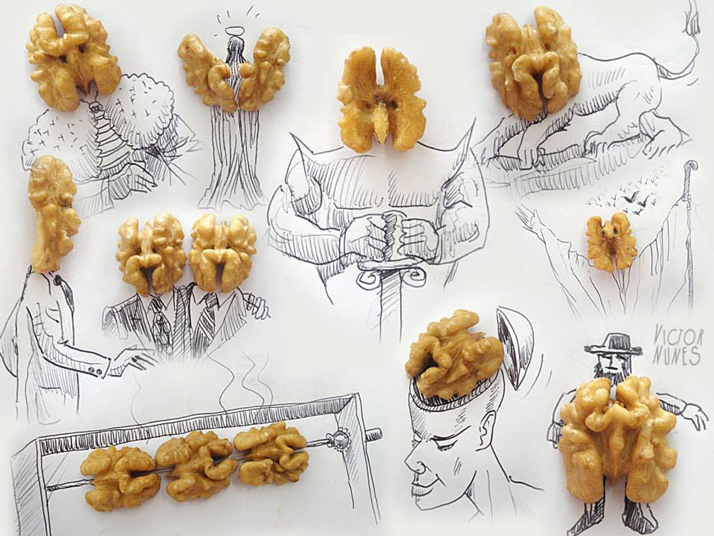 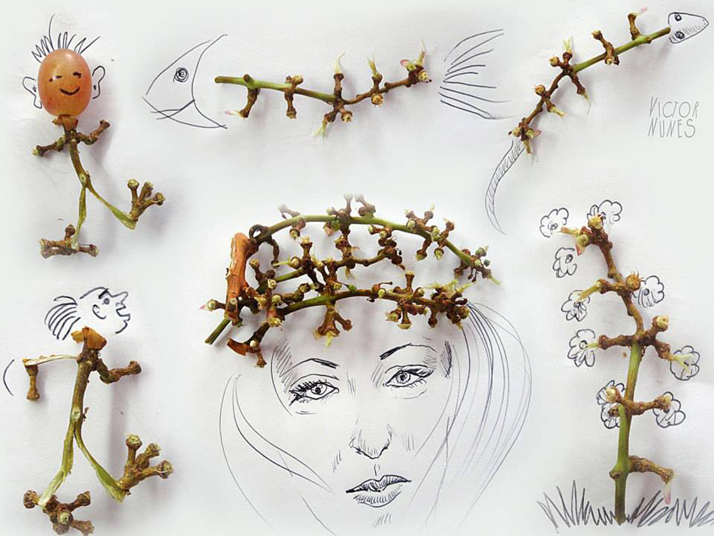 "Nunes places anything from pairs of scissors to pumpkin seeds onto a page and then freely sketches around them to produce the unexpected and delightful compositions. 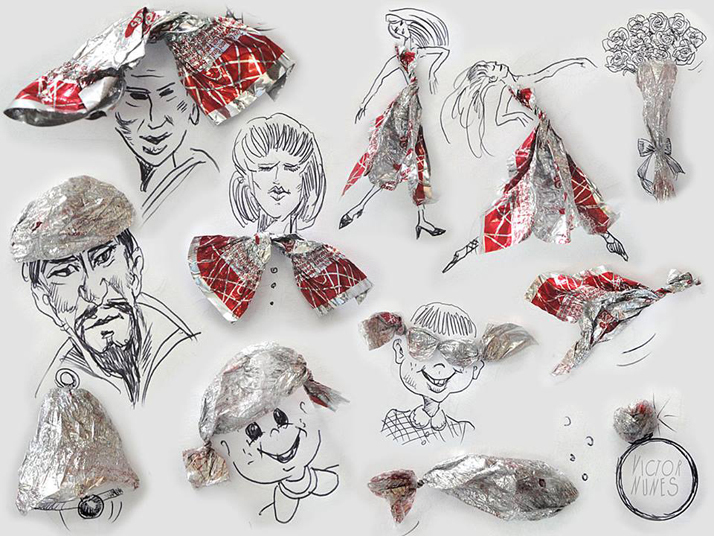 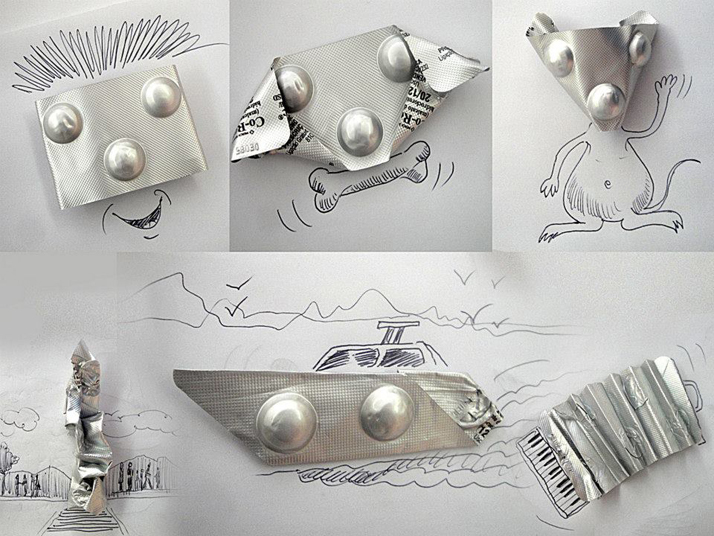 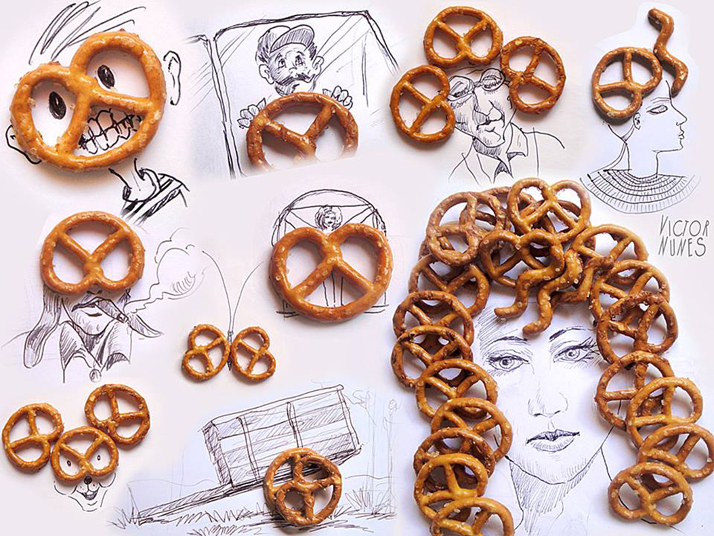 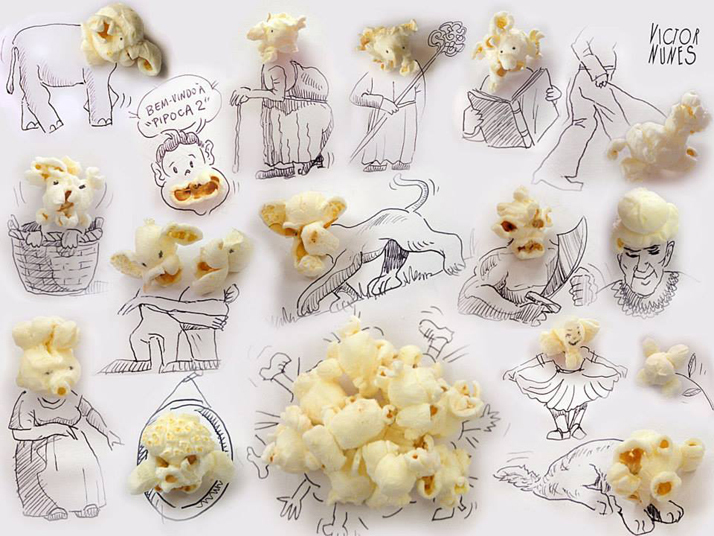 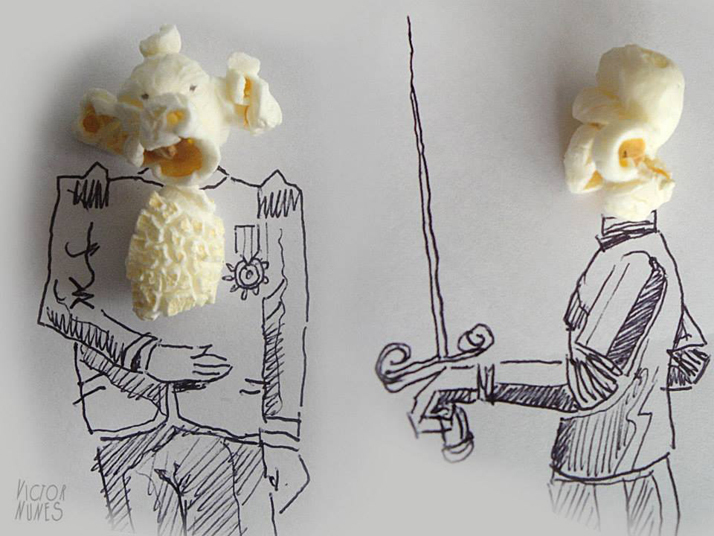 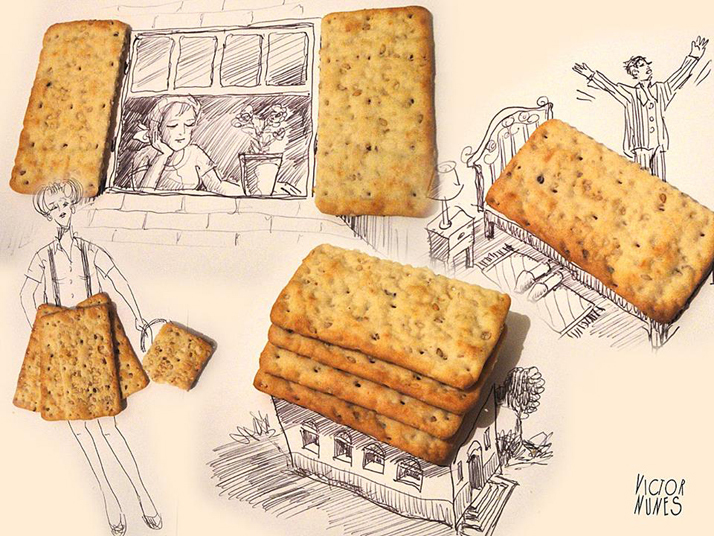 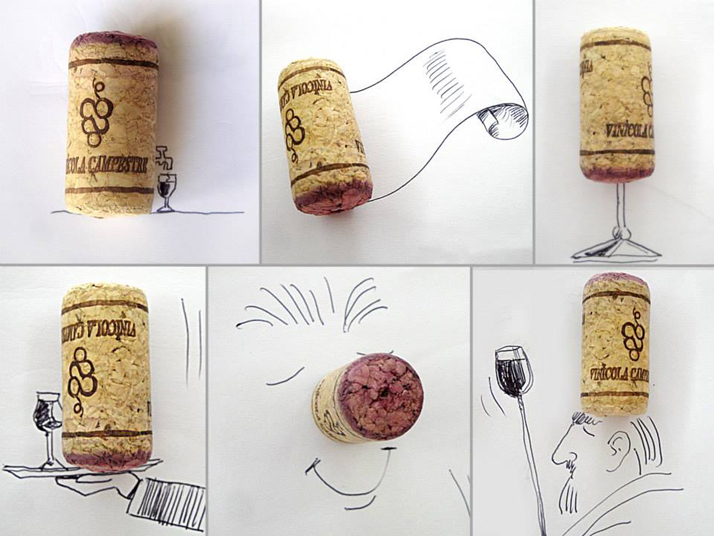 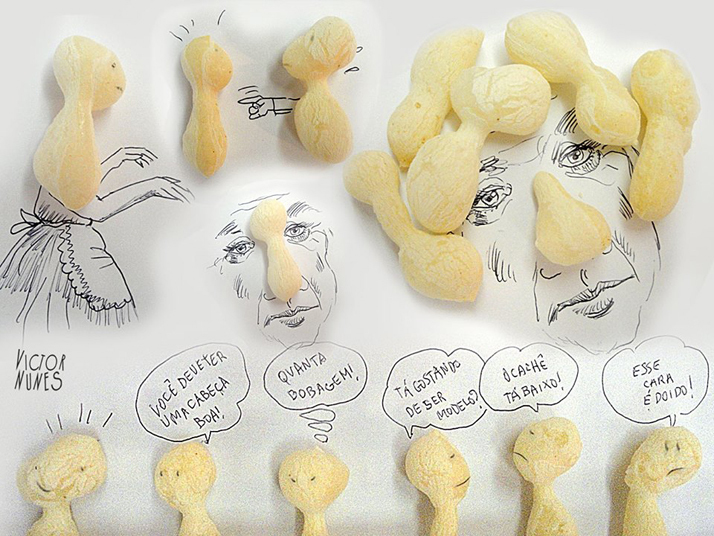 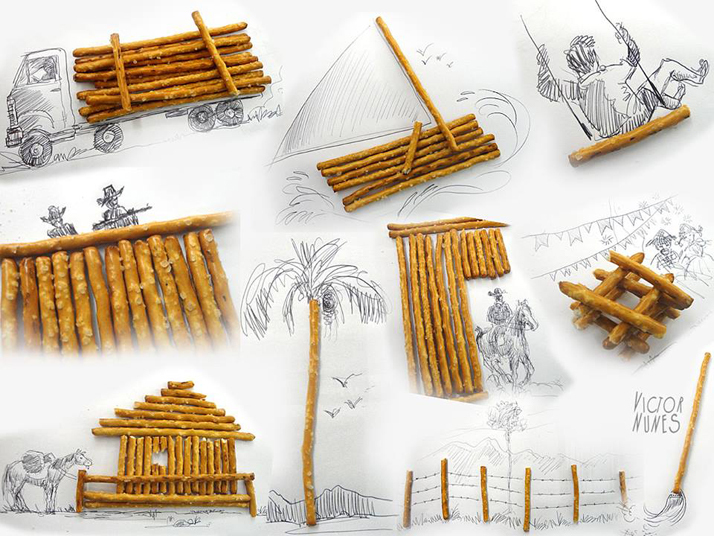 He has a great sense of humor as he playfully transforms bits of food, old wine corks, and crumpled candy wrappers into an elaborate page filled with incredible line drawings."